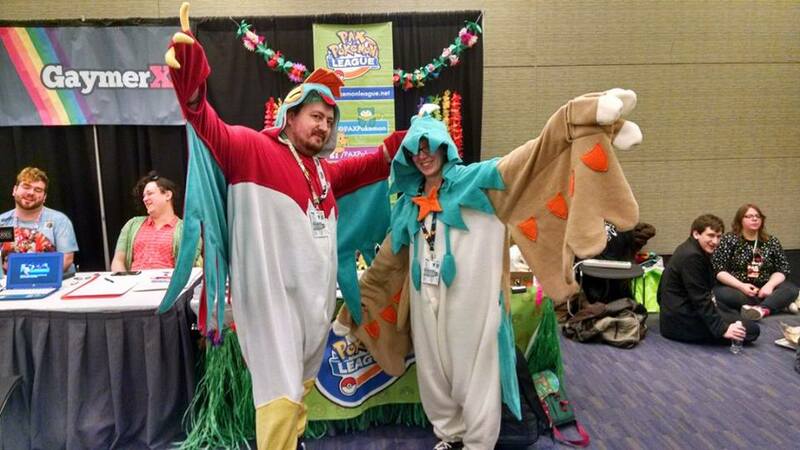 PAX East 2017: Pokemon Kigurumi! I know I said in my last post I was making a Marin cosplay for PAX this year… but I changed my mind after realizing that wearing a dress and sandals in March in Boston was a terrible idea. I was already going to make a Pokemon kigu for my partner, so I decided to make one for myself as well. That way I’d be warm and cozy! I’m moving away from cosplaying at conventions in general and doing photoshoots instead. 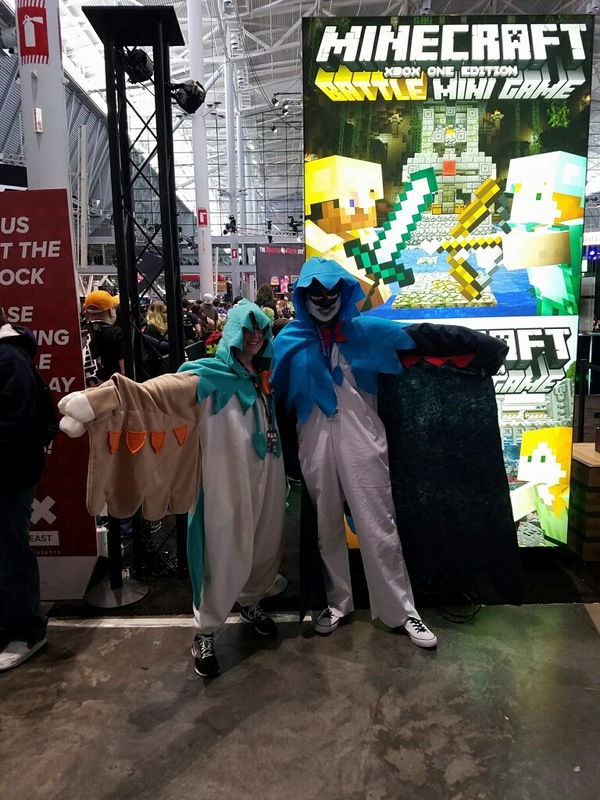 The kigus worked out great because we got to dress up but in a casual and comfortable way. They were a big hit as well. I’m Decidueye (Rowlet’s final form), and my partner is Hawlucha! Here we are at the PAX Pokemon League table in the Diversity Lounge. 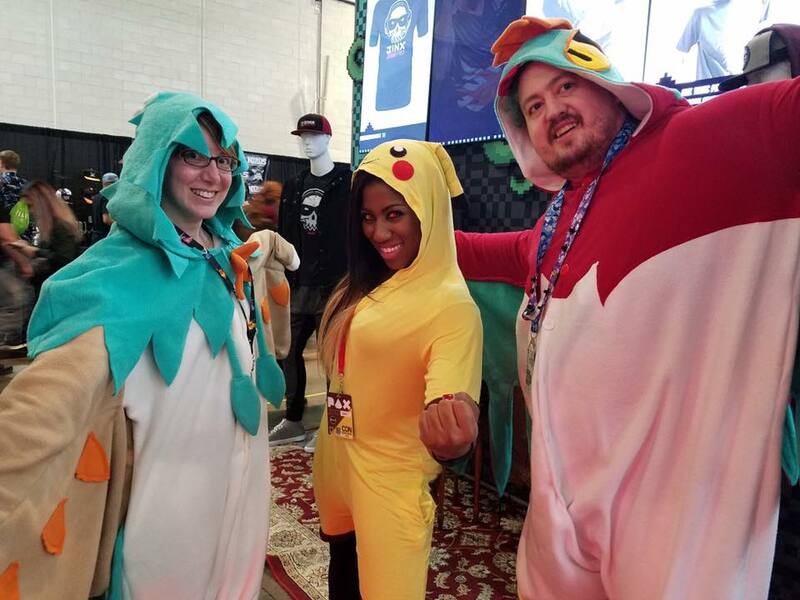 We even got a picture with WWE NXT Superstar Ember Moon, who was at the convention on Saturday dressed as Pikachu! What an awesome lady. I ran into another Decidueye cosplayer; he was shiny!! So cool!! Kigus take some time (mine took probably 10 hours! ), but they are really fun to make. If you’re interested in a custom kigu, send me a convo at my Etsy shop! Copyright © 2019 Alex Lynn Crafts.